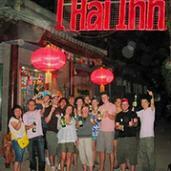 Welcome to 1 Hai Inn, It is one of the most popular & traditional Beijing courtyard hostels . 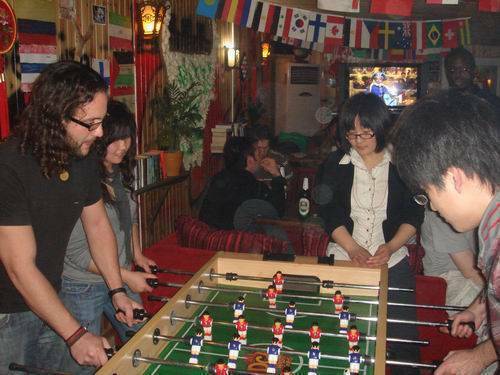 A courtyard hostel at the center of Beijing! 3 mins walking distance to subway stations, close to the Lama Temple, many years experience for foreign tourist. Just a five minute walk from two different subway stations (Line 2 & 5). The location is convenient for traveling to tourist attractions by metro, bus, taxi or even walking. We have recently renovated our Bar and Lobby. We've also added a daily events schedule to make your stay here even better!! All rooms with bathroom, 24 hours hot and cold water, air conditioning, heating, television, towel, bath towel, toiletries, which are clean, warm and comfortable, equipped with modern security key-card access doors, We also offer free wireless internet throughout the hostel. Ethernet jacks are available in all rooms. A wide range of accommodations are provided to suit all budgets. We have a very friendly, helpful & English-speaking staff. Information office offers free information. There is a comfortable lounge where you can relax, watch films and chat over drinks. 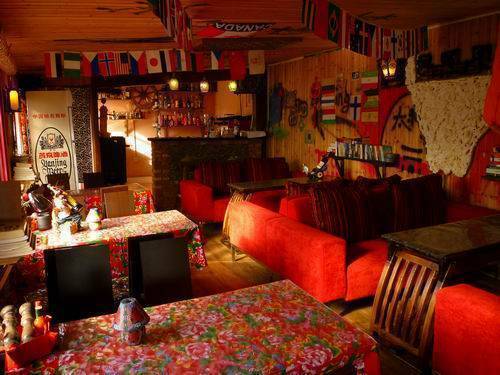 We also have a bar and a restaurant (Free wireless Internet connection) which offer both Chinese and Western dishes including English and American breakfast. We personally recommend hiking from the Jingshanling section of the Great Wall to the Simatai section. These two sections offer breathtaking scenery on top of being amongst the most original sections of the wall, foreigners believe it to be a “must”. the Bird’s Nest ( 2008 Olympic Games new stadium). Free food on Friday evening Party. Free connection wire for lap-tops available. Book exchange/sale. The Lonely Planet China books and maps of Beijing, in English, are also available. taxi to airport and pick up from the airport. Ticket booking serves: We can provide national and international train and flight tickets ! Tibet as well as discount flight tickets & Tibet tour. To Tian'an Men Square, Tian'an Men new street, Forbidden City and Wangfujing Business Street: 15mins/2RMB by metro. Nan Luo Gu Xiang Arts and Culture street: 15 Mins walking. To Silk Market, Temple of Heaven: 15mins/2RMB by metro. Bank, Post office, Hospital, Shops and Restaurants etc. We have a very friendly, helpful & English-speaking staff. Information office offers free information. There is a comfortable Mini Bar where you can relax , watch films and chat over drinks. The bar service includeds coffee, tea, hot chocolate and beer. We can arrange trian tickets to verious destinations, such as Hongkong, Ulan Bator, Tibet, as well as discount flight tikets & Tibet permits. We have internet access, can burn CDs and offer a free connection wire for lap-tops. Guests are offered 15 min free internet access to check their emails. Book exchange/sale. The Lonely Planet China books and maps of Beijing, in English, are available. 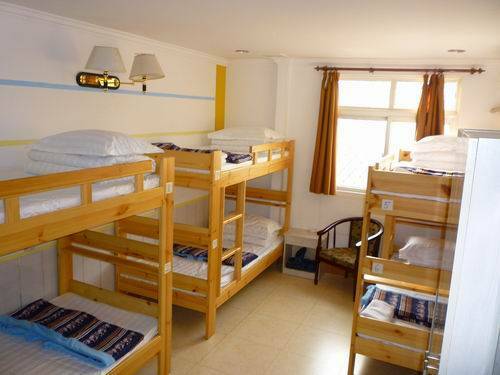 A forward hostel booking service for other popular hostels in China is provied and we also can arrange for them to pick you up direct from the station. Airport pick up(200RMB/car) and transfer is also available. 24-hr front desk Airport pickup BBQ area Bar/lounge Bicycle rental Breakfast (extra charge) Children permitted Concierge Express checkout Gardens Group services Handicap access Laundry/valet service Linen included Live music Luggage carriers Movie rentals Newspapers/magazines No curfew Open 24 Hours Parking (free) Pets allowed Room service Safe deposit box Smoking permitted Taxi service Tour/sightseeing assistance Voltage converters WIFI (free) Wireless internet item1Badaling Great Wall item2Mutianyu Great Wall item3hiking the Great Wall item4 City Tour item5 a Hutong Tour item6 a tour of the Birds Nest item7 Acrobatics item8 Kung Fu item9 the Beijing Opera. Nice room All rooms are provided with bathroom and full toiletries. The rooms are very clean and comfortable. We have a wide range of accommodation types to suit all budget levels and further discounts can also be offered to long-term guests and tour groups. 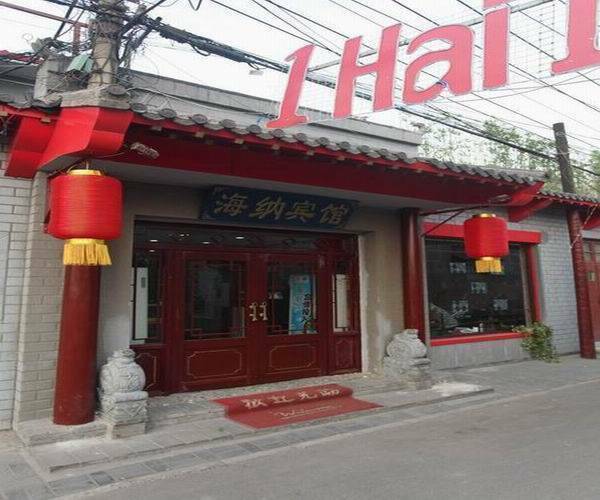 1 Hai Inn is located inside the North second Ring Road, Bei Xin Hutong, in the central of Beijing, only a 3 minute walk to the LaMa Temple, a 5 minute walk to subway line2 , line5 & bus station. It’s close to all public amenities. It’s near Dongzhimen Shuttle Bus (only 16RMB per person)Station. No problem taking transportation to anywhere you want to go in Beijing. Enough Chinese food? get an Italian pizza!! We have a wide range of accommodation types to suit all budget levels and further discounts can also be offered to long-term guests and tour groups. 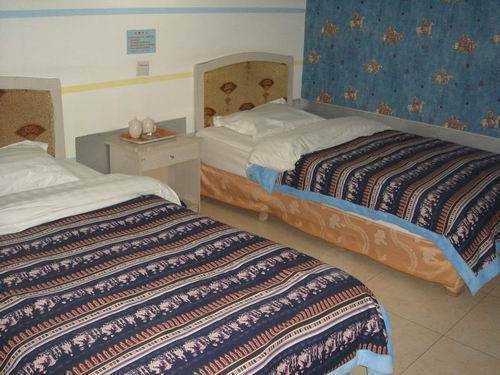 1 Hai Inn is located inside the North second Ring Road, Bei Xin Hutong, in the central of Beijing, only a 3 minute walk to the LaMa Temple, a 2 minutes walk to subway line2 , line5 & bus station. It’s close to all public amenities. It’s near Dongzhimen Shuttle Bus (only 16RMB per person)Station. No problem taking transportation to anywhere you want to go in Beijing. From the capital airport: Take the airport express to Dongzhimen station (25RMB per person) is very fast and convenient. From there get onto the subway line2 and get off at Yonghegong station, leave the underground from entrance C. We are 50m south of the Lama Temple. A taxi from the airport should cost about 80RMB. From Beijing Rail Way Station: get on the subway line2 and get off at Yonghegong station, take the exit C to reach the street, from there we are 50m from the Lama Temple. From Beijing South Rail Way Station: Get on the subway line4 and get off at Xuanwumen Station, exchange line2 and get off at Yonghegong station(transfer station line2 and line5), leave the underground from line5 entrance C. We are 50m south of the Lama Temple.